Your little one is transforming into a big kid every day, right before your very eyes. Every evening they go to bed, wrapping themselves in a soft blanket like a cocoon and in the morning, they emerge slightly bigger than the day before. It's amazing! 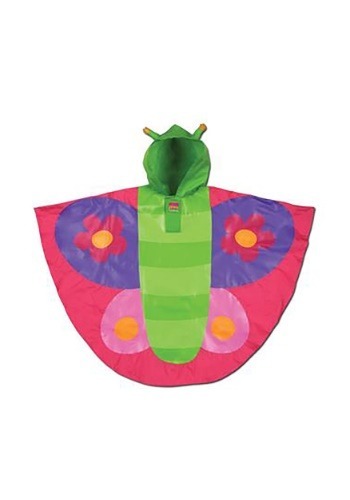 Now, the Stephen Joseph butterfly rain poncho will highlight their gradual metamorphosis from child to big kid. It's great for having on hand just in case you're trapped inside by a rainy spring weekend but not going outside for fresh air isn't an option. Little kids will love how this intensely bright-colored poncho also acts as a costume plus, they'll also have a blast pretending to flitter from raindrop-sprinkled flower to flower. The Butterfly Rain Poncho for children, created by designer, Stephen Joseph, allows kids to have nonstop fun even when it's pouring outside. 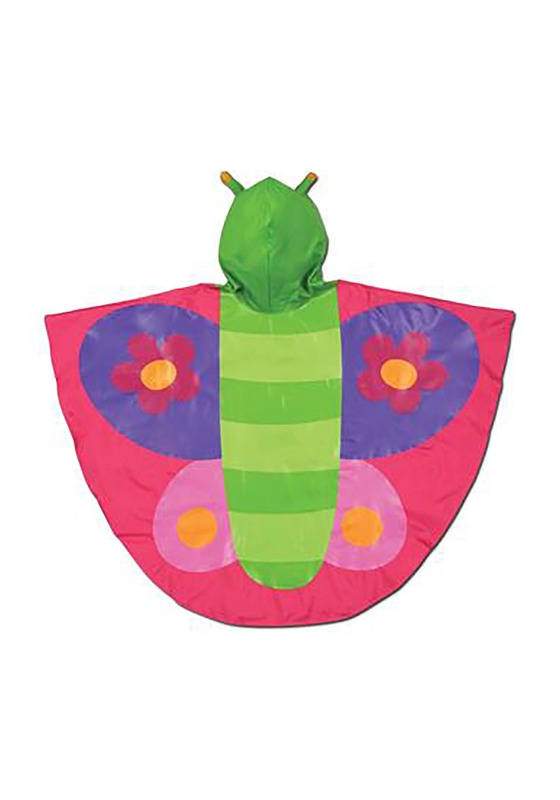 Featuring bright colors, flower shapes, an antennae-decorated hood and wing-like sleeves measuring 32-inches across, this poncho adds a dash of vibrancy to any dull, gray day. Do you live in a wet climate? If so, make sure your little one has the entire Stephen Joseph rain poncho collection. She'll love the mermaid one!